From the filmmaking team that brought us “1,000 Rupee Note” — a hit at the recent Sedona International Film Festival — comes “Dukhtar” a powerful story of the search for freedom. 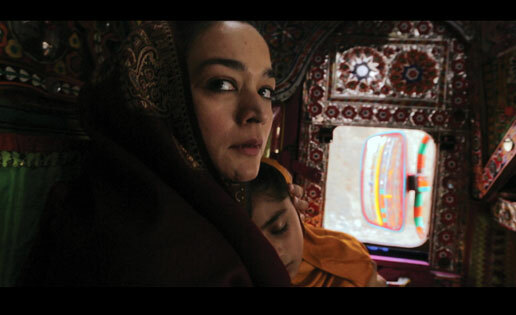 “Dukhtar” was Pakistan’s official entry to the Academy Awards for Best Foreign Language Film. “Dukhtar” (Daughter) is a drama set in the mountains of Pakistan. A mother kidnaps her ten-year-old daughter to save her from the fate of a child bride. The escape represents a damning act of dishonor to the family and triggers a relentless hunt. As their pursuers close in on them, mother and daughter meet a cynical truck driver who offers an unlikely hope. Their destinies entwined, carefully dodging the far-reaching influence of the tribal leader, the trio embarks on an epic journey through the sweeping landscape of Pakistan where the search for freedom and love comes with a price.